Colder days are upon us and so are the dreaded chapped, flaky lips. They can be downright painful, sore and aching. Thankfully, there are ways to prevent your lips from drying, before reaching the point of chapping. Here are 12 helpful ideas on how to get rid of chapped lips. From hydrating and moisturizing balms to homemade scrumptious lip scrubs, we’ve covered them all. Some of these tricks in the ‘how to get rid of chapped lips’ book will work wonders overnight, while others may take longer to be effective. However, maintaining a healthy lip care routine during the cold season is a must in any case. Hydrating is the first rule that you should follow so as to avoid flaking and sore lips. Drink plenty of water, use an indoor air humidifier and search for the right chapsticks or lip balms, which should be artificial fragrance-free yet packing a load of hydrating and moisturizing elements. Also, here are the best lip care tips to follow when dryness threatens your lips. If you’re wondering how to prevent dry chapped lips, this is a good trick. When using makeup removing products, like a face cleanser or other beauty and care staples on your face, you risk drying out your lips. Such products may contain benzoyl peroxide or salicylic acid which affect the pH balance, thus contributing to chapped lips. As such, it’s recommended that before you use cleanser and water, you apply a healthy dose of lip balm to ‘seal’ the lips. This is the oldest tip on how to get rid of chapped lips. As we all know, the urge to moisturize the dry flaky skin on the lips by licking them is almost irresistible. Nevertheless, saliva is, in fact, irritating the sensitive skin on your lips, particularly if they already started chapping. This is due to the fact that it contains compounds which help break down foods for easier digestion. Yes, something as simple as breathing through your mouth may lead to your lips drying out. Be conscious about your breathing and try to do so through the nose when outside. Cold dry air damages the lips. Without a trusty chapstick applied generously to your lips, the cooler air can dry them out. Coconut Oil – 2 tbs. Mango Butter – 2 tbs. Peppermint essential oil – 20 drops. Mix them according to this Wellness Mama tutorial. You’ll get a trusty ally in the fight against chapped lips. Perhaps you don’t feel like making your own lip balm. Thankfully, there are also natural lip care products which you can find in stores. Look for the most hydrating and moisturizing ones. For example, the almond oil lip balm from Kiehl’s is a great choice. Brush over your lips to remove the flaky skin. Dab softly to remove excess water and then apply the lip balm or lip butter. This tip works instantly, just as well as overnight. Brown Sugar – 2 tbs. Jojoba Oil – 1 teaspoon. Mix the ingredients well until they are fully incorporated. 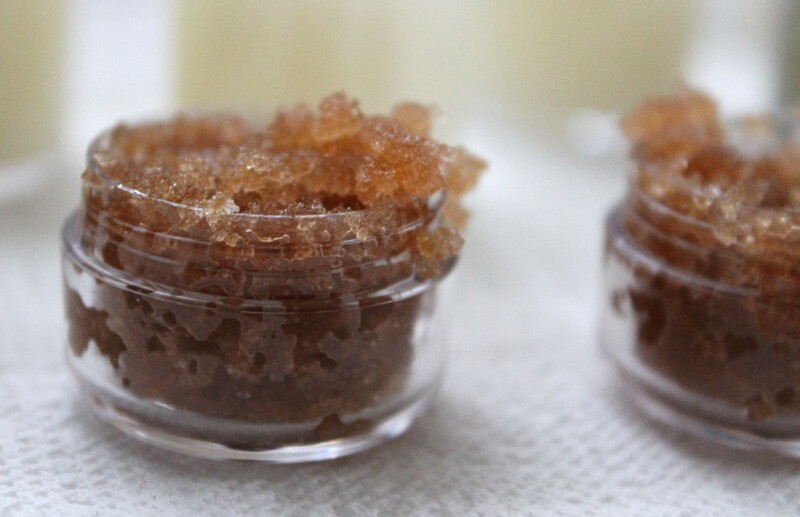 Store the sugar scrub in a clean container and use it twice per week. The sugar is ideal for mild exfoliation, while the honey and jojoba oil hold it together while packing strong moisturizing and nourishing properties to restore the beauty of your lips. It’s well known that cucumbers pack all the hydration your skin could need. Commonly used on the eyes, a few thin slices of cucumber applied to dry lips may be just the answer to the how to get rid of chapped lips question. They’re comforting, hydrating and refreshing. Thus, if you have sore chapped lips, use cucumbers for quick relief. All these are powerful conditioners which will help moisturize the skin, reducing the flaky aspect of chapped lips. Even if the cooler days are around the corner, you shouldn’t do away with SPF lip balms just yet. The sun can still hurt the skin on the lips. Use lip balms with SPF to avoid burned lips, yet steer clear of lip waxes. They may look nice and offer a full pout look, yet they do little in terms of moisturizing and hydrating. Matte lipsticks and lip stains are mostly drying. Check out some matte lipstick choices which also pack lip conditioners in this review of the best matte finish lipsticks. Nonetheless, as they’re a beauty staple this season and you’re bound to flaunt them, use a lip conditioner before. If you’re serious about how to get rid of chapped lips, take a pass on citrus fruits drinks. Their highly acidic content can worsen chapped lips. The same applies to spicy foods which can be irritating, as well as for salty treats. If none these tips on how to get rid of chapped lips work for you, you may want to consult a dermatologist or a pharmacist. Sometimes, chapped lips may be a symptom of other conditions. Thus, the right approach to healing them is to know the underlying cause.